Few things give me as much joy as sharing my research on Native American history with young people. 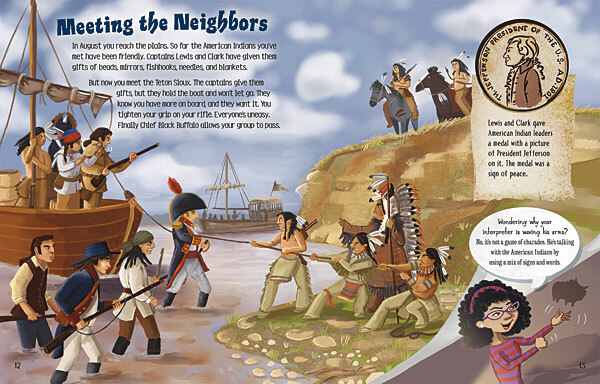 This year, my 2010 Lewis and Clark painting, Encounter with the Teton Sioux, has been used in different settings to help illustrate this chapter of American history to school-age children. “SCRAPE! No one wants to hear that sound. The boat is hitting sandbars. You’ll have to get out and pull. In no time you’re sweaty. Your back aches. Clouds of mosquitoes and gnats stab at your skin and buzz in your ears. ‘This is no adventure,’ you grumble. ‘Just hard work.’ ~From Your Life as a Private on the Lewis and Clark Expedition, page 6. Encounter with the Teton Sioux gave the book’s illustrator, Colleen Madden, the historical reference she needed about the fateful meeting between the Teton people and the explorers. A few months ago, I received a call from John Hess of Living History Experiences of California asking for permission to use Encounter with the Teton Sioux in their elementary school classroom learning programs. 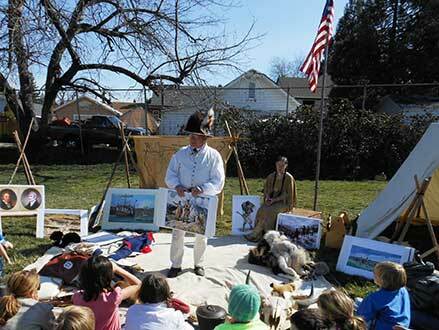 John Hess of Living History Experiences illustrates the Lewis and Clark journey with help from Encounter with the Teton Sioux. I was delighted to have my painting included in this endeavor. 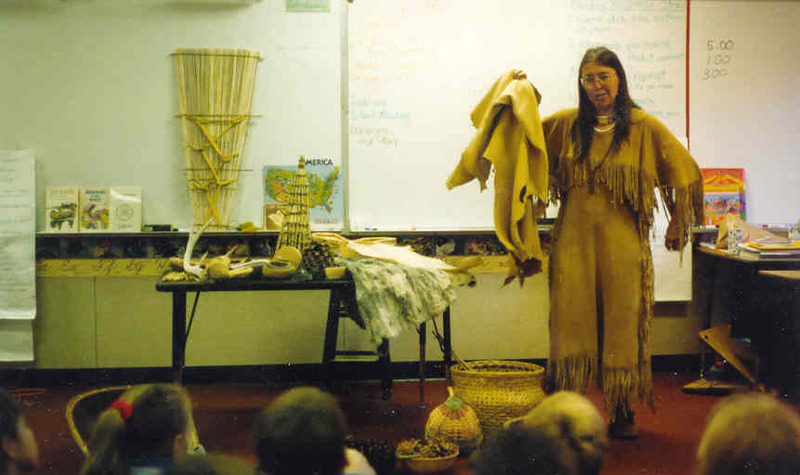 Living History Experiences is an innovative organization that seeks to make the study of history engaging for schoolchildren through the use of artifacts, hands-on activities and crafts, and character playing. To achieve their goal of bringing history to life, the organization employs the whole family. In addition to founder Mary Hess and husband John, son Eric also dons period clothing from time to time. Living History Experiences is in the process of obtaining 501-3c certification for non-profit status. Are you interested in licensing or use of one of my images for education? Please contact me directly: Contact James Ayers Studios. I’d love to hear from you.